Karim Rashwan Head of Product at AdvisorStream recently was interviewed by Allision Carey from our partners at SEI Investments. Marketing, what does that mean? To many it is a way to promote yourself to add new clients. Yet, most people don’t think of it as your first opportunity to create an experience for your existing and potential clients. As we know, experiences are powerful and people are willing to pay for them. 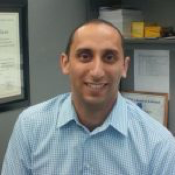 I am excited today to introduce Karim Rashwan, Director of Product Management at AdvisorStream. He is an expert on how you can use digital marketing in your firm to not only support your value prop as an expert and drive new business, but how to create a differentiating experience for them. Take it away, Karim. Twenty years ago, when I first started my career as a financial advisor, I had some pretty grand visions of how I was going to get my name out there and start building my book of business. Start with family and friends, ignore the fact that the people closest to you may not want you to peer into the depths of their financial abyss, and then hope that they would be so happy with the work you did for them that they would just start throwing referrals at you. To say that this approach to building a book was a bit naïve could very well be the understatement of the century. Sure, I did some standard marketing as well – deliver seminars, cultivate relationships with other centers of influence, and did direct mailing campaigns. In fact, every week I would mail out a one-page newsletter with my picture on it, along with a canned market update, hoping that if enough people opened their mail I would see new business come in. Needless to say that was an expensive and somewhat ineffective way to generate new business. Looking back on my time as an advisor, I don’t have any regrets; I was doing my best with the tools I had available. Today’s financial advisor lives in a very different world. One in which digital marketing can be one of the most effective ways to deliver a superior client experience, enhance your online presence and undertake a more scalable, cost effective, and engaging marketing strategy. Yet so many advisors that I speak with are still only undertaking marketing activities as though it were 1999. And why not? The most common explanation I’ve heard is that it’s been working for 20 years, so why change things now. “If it ain’t broke, don’t fix it.” The problem with that line of thinking is that even if something is working well, that doesn’t mean it can’t work better. Traditional marketing methods typically involve promoting yourself and your skill set, offering solutions to clients’ problems, and differentiating yourself from your competition based on services offered. Digital content marketing, on the other hand, when done right, involves borrowing the credibility of highly respected publishers, legally repurposing their most engaging content for client communications, and then delivering it through multiple channels – email, social media, website, and blog posts, for example. If this all sounds like a lot of work, it definitely doesn’t have to be. Automated platforms can handle all of this for you and keep you regularly communicating real-time, relevant, and highly engaging content with your clients. Why is this so critical? Consider this – a Salesforce study in 2016 found that the number two reason why clients leave their financial advisor was due to a lack of communication. A full 30% of clients indicated as much. Coming in at number three was bad advice. Think about that for a second. Clients have more of an appetite for bad advice than for no communication at all. That shouldn’t be astonishing to you. Times have changed and clients expect more than ever to hear from you, but not just to sell them something or ask them to come in for a portfolio review. They want to know that you know them, and know them well, and having relevant content shared with them goes a long way in nurturing that relationship. For you, the advisor, it’s also one of the best ways to not only uncover new business from existing clients, but also to generate referrals along the way. A 2016 Vanguard study on client engagement found that by using content to communicate with clients, advisors, on average experienced 41% higher client retention. It also found that engaged clients are 33% more likely to increase AUM, leading to 24% higher recurring revenue for the advisor. A separate Vanguard study on marketing return on investment, found that engaged clients invest and refer two times more than clients who don’t feel engaged with their advisor. And with the largest wealth transfer in history – $30 trillion in the U.S. alone – coming down the pipes, it’s critical that you find a way to engage with the children of your baby boomer clients as well. That means ensuring you include content in your communications that is relevant to a younger generation, or better yet, segmenting your client base to target your communications. And that brings me to my last point – email marketing. Why am I bringing up email marketing in 2018? The answer is simple. Even though social media is all the rage, email marketing is still far and away a more effective way of communicating with your clients. It’s targeted and it’s controlled. More importantly, as social media behemoth LinkedIn found, email marketing still delivers a 40:1 return on investment compared to social media. A final thought. Whether you’re a young financial advisor trying to make your mark on the profession, or a seasoned veteran, delivering a superior client experience has become more important than ever. While investment returns will never lose their importance, client engagement has become the name of the game. And that’s something that will likely be the case for years to come.